Removal ProcedureRaise and support the vehicle. Refer toLifting and Jacking the Vehicle.Drain the rear differential. Refer toDifferential Oil Replacement.Remove the exhaust system. Refer toExhaust Muffler Replacement.Remove the spare tire. Important:In the following service procedure, it is not necessary tocompletely remove the propeller shaft. Relocate the propeller shaftto the side and secure with mechanics wire or equivalent. Remove the propeller shaft. Refer toPropeller Shaft Replacement.Remove the right rear wheel drive shaft. Refer toRear Wheel Drive Shaft Replacement.Support rear differential with a transmission jackstand. 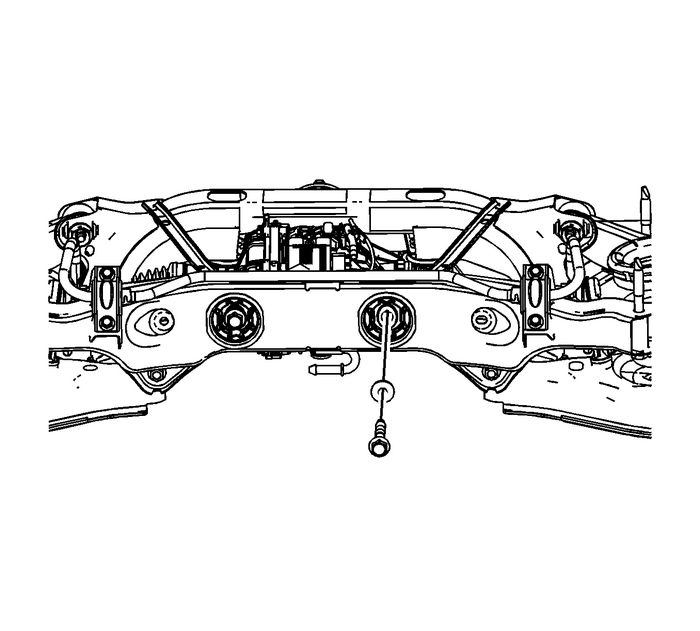 Remove the right rear differential support bushing bolt.Refer toDifferential Housing Support Bushing Replacement. 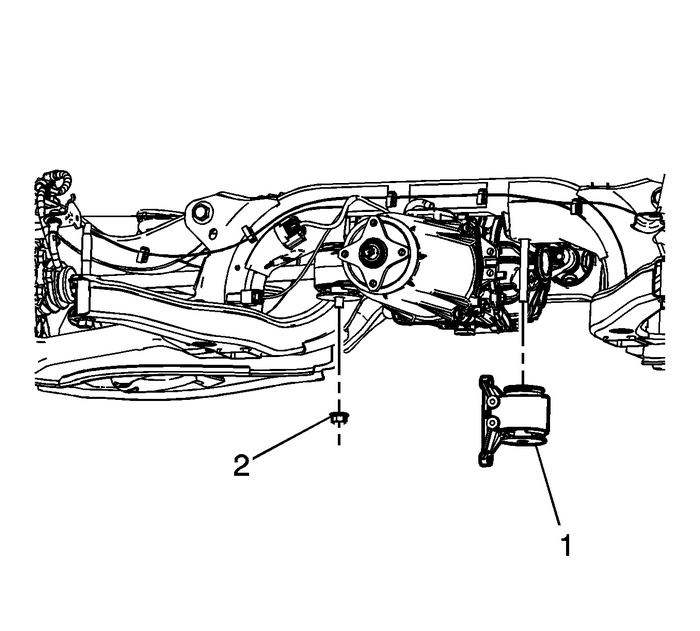 Remove the left differential mount-(1).Remove the right differential support bushingnut-(2). Refer toDifferential Housing Support Bushing Replacement.Lower the differential to gain access to the axle shaftseal. 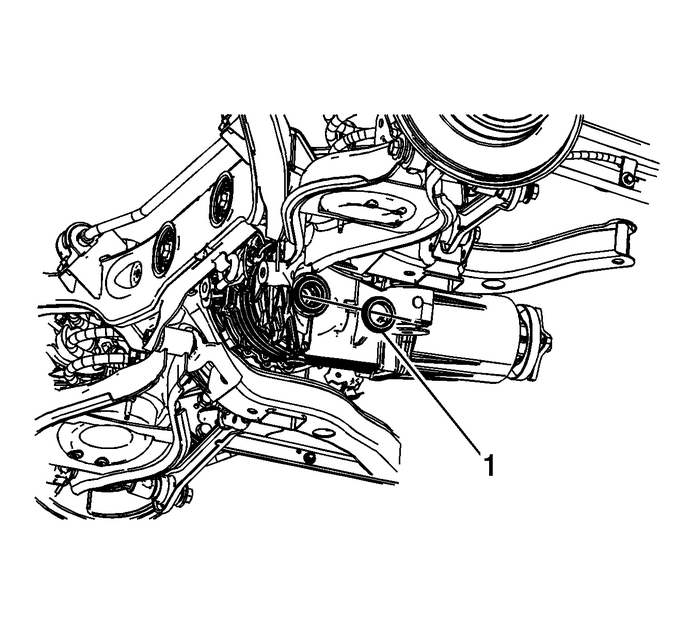 Using theJ-44809installer, install the axle shaft seal-(1).Lift and position the differential in the rear cradle. Install the left rear support bolt.